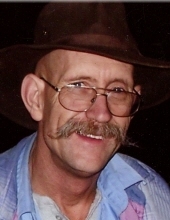 Garry Dane Jones, age 66, of Rocky Point School Road, Williamsburg, Kentucky departed this life on Friday, January 18, 2019 At the VA Medical Center in Lexington, Kentucky. He was born on February 7, 1952 in Williamsburg, Kentucky to the late Darryl Emerson Jones and Elsie Aldine (Cupp) Jones. He was a member of Pleasant Hill Baptist Church. He is survived by his children, Tracy Renee West and husband Samuel of Williamsburg, Kentucky and Kyla Dawn Jones of Corbin, Kentucky; two grandchildren, Dynasty and Shelby West; his mother, Elsie Jones of Williamsburg, Kentucky; brother, Glenis Leon Jones and his wife Marilynn of Knoxville, Tennessee; niece, Sabrina Naylor and her husband Brandon of Knoxville, Tennessee; nephew, Michael Jones of Williamsburg, Kentucky; three great nieces, Victoria Jones, Abigayle Jones and Brianna Naylor; great nephew, James Naylor II; and a host of friends to mourn his passing. Visitation will be from 5:00 P.M. until the funeral hour on Friday, January 25, 2019 at Croley Funeral Home. The Funeral Service will be at 7:00 P.M. Friday, January 25, 2019 at the Croley Funeral Home Chapel with Rev. Dillard Cupp officiating. Private family Graveside Service will be held at a later date. To send flowers or a remembrance gift to the family of Garry Dane Jones, please visit our Tribute Store. "Email Address" would like to share the life celebration of Garry Dane Jones. Click on the "link" to go to share a favorite memory or leave a condolence message for the family.